Israeli aircraft attack a facility in the Syrian part of the Golan Heights in retaliation for Sunday's attack on IDF soldiers. Israeli aircraft attacked early Monday morning a facility belonging to the Islamic State (ISIS) terrorist organization in the Syrian part of the Golan Heights. 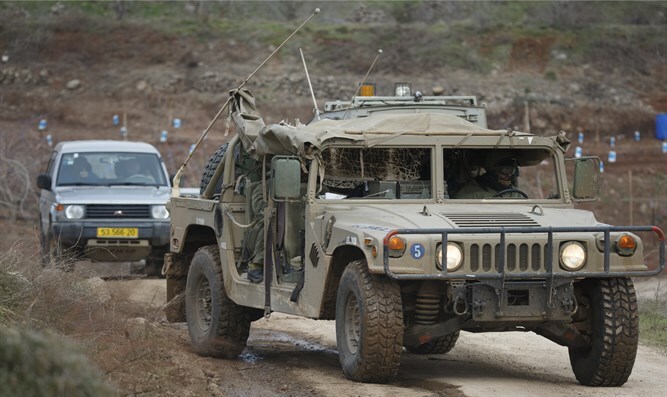 The attack was in retaliation to Sunday’s attack on IDF forces who were engaged in operations along the Syrian border. The patrol returned fire, first with small arms and then with mortars. The Israel Air Force then located the armored vehicle that had been the source of the fire and destroyed the vehicle, killing all four ISIS terrorists inside. According to an IDF statement, Monday morning’s attack targeted an abandoned military facility which was previously used by the United Nations and which the ISIS terrorists used to attack IDF forces near the border. “This is a continuation of yesterday’s attack which aimed at preventing the return of the terrorists to a facility constitutes a fundamental threat to the region,” the statement said. “The IDF will continue to act to protect the citizens of Israel while maintaining the IDF's freedom of action inside the sovereign territory of Israel, and will not hesitate to act against the terrorist organizations operating against it,” it added.